Speaker Feliciano Belmonte did not vote against the SSS pension increase bill. Actually, not a single congressman voted against it. It was approved unanimously without objections last year. And so when President BS Aquino shamelessly vetoed the bill this year, its principal authors and SSS retirees were not expecting big problems towards overriding the veto. Come to think of it, the House and the Senate would just have to vote again – in the much same way they voted in 2015: Overwhelmingly, nearly unanimous, and surely beyond the two-thirds required to override the veto. Unfortunately for SSS retirees, traditional politics intervened. The House leadership was more concerned about possibly hurting President BS Aquino’s feelings, than about the bill it approved unanimously and the two-million SSS retirees who stand to benefit from it. 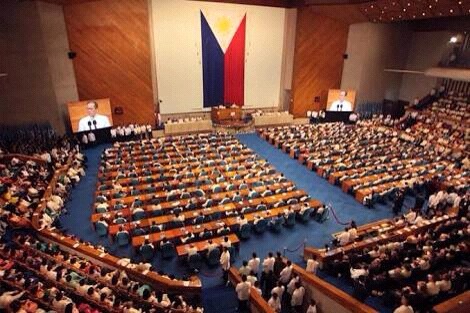 The House leadership’s fear of and love for President BS Aquino knows no bounds. They stopped and delayed the entry of SSS retirees into the House premises, and right in front of them, quickly adjourned the session to deny any lawmaker an opportunity to make a motion to override the presidential veto. Had Neri Colmenares been able to present a motion, it would have compelled the division of the house. A roll-call vote would have shown to the nation the lawmakers who changed their minds and those who stayed true to the cause of uplifting the standard of living of SSS retirees. The fight is not yet over. When the session resumes, Colmenares could still be able to make a motion to override the veto. He will be backed by at least 62 other lawmakers and perhaps more, if public pressure would bear on the others. About 130 more congressmen are needed to have a valid override in the House, and at least 16 senators in the Senate. This is not impossible to achieve considering the original votes on the bills, the election season, the growing unpopularity of President BS Aquino and the rising anger of SSS members, retirees and their families. Speaker Belmonte and Senate President Franklin Drilon may opt not to vote for the override, out of their love and support for President BS Aquino. Perhaps they may even have the numbers to defeat an override. But they should not deprive the people of the opportunity of knowing and seeing how their lawmakers would vote on the override. They should not stop the public from directly lobbying, pressing, campaigning, and convincing their representatives, and senators. First appeared in the Manila Bulletin, 6 Feb. 2016. List of lawmakers included in this version and likewise updated the total number of representatives who have signed a resolution for veto override.